American Innovator Saleen Automotive Accelerates the Product Design Cycle with the use of Desktop 3D Printing. Saleen Automotive has been using an Airwolf 3D printer since October of 2013 to prototype. 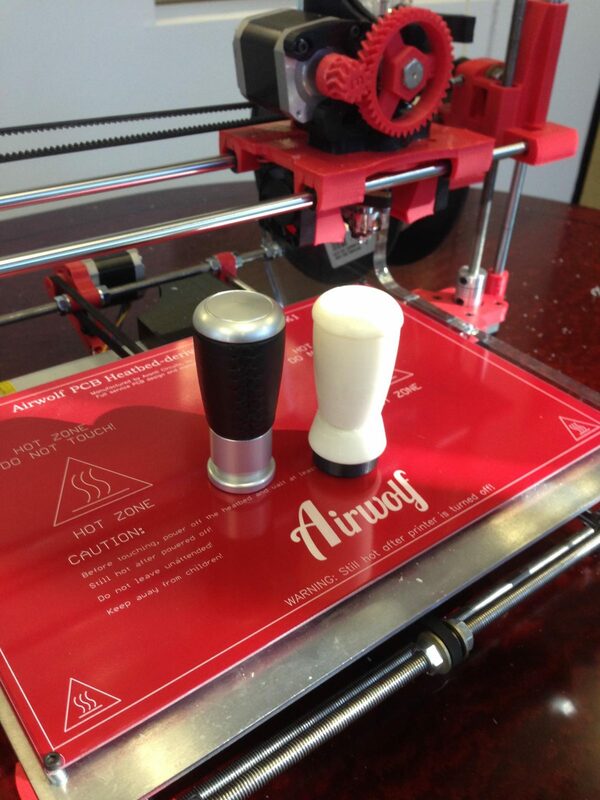 They have prototyped, among other things, a custom Saleen shiftknob design with their in-office Airwolf 3D printer. Saleen Automotive uses an Airwolf 3D printer, model AW3D XL. The printer has a standard 0.50 nozzle on the hot end and takes 3 mm filament. It has a build platform of 12” width x 8” depth x 7” height and a temperature controlled heated bed. The printer is equipped with dual fans.